Penny Crane served in many capacities for both ACM and SIGUCCS including SIGUCCS board chair from 1986 to 1990. For many of our members, Penny comes to mind when service to SIGUCCS is mentioned. Her death left a huge void in the ranks of our volunteers.This award was established by the SIGUCCS board to honor her memory. Each year, SIGUCCS members are invited to nominate their colleagues, along with four corresponding endorsements by SIGUCCS current or past members, for the Penny Crane Award. The deadline for nominations is July 1 of each year. See the Qualifications & Nominations information below for complete details and to nominate a colleague. The selection committee reviews nominations and endorsements as received to determine if an award will be made at that year’s annual conference. The award itself consists of an honorarium of $1,000, a lifetime membership in SIGUCCS, and a physical form of recognition, such as a plaque or paperweight. Travel costs and conference registration for the recipient to attend the ceremony are also covered. 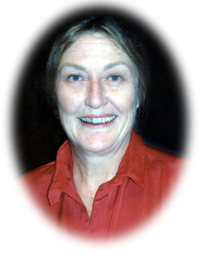 A special award was presented posthumously to Penny Crane at the 1999 SIGUCCS Fall Conference to honor her long-time service and contributions to SIGUCCS and ACM. Since then, the Penny Crane Award for Distinguished Service was established to recognize other individuals who have made significant contributions to SIGUCCS and computing in higher education. Been a member of SIGUCCS over a relatively long term (but would not necessarily have to be a current member). Been nominated via a 500-word statement from a current member of SIGUCCS (no self-nominations). A record of long-term service to higher education and the computing profession, as indicated by a statement covering that service (normally a complete resume). A record of extensive service to SIGUCCS, over a significant period of time (normally ten or more years), which could be checked against the records of SIGUCCS and ACM. Received additional endorsements from at least four current or former members of SIGUCCS who are familiar with the contributions of the candidate. To nominate a colleague, complete the Penny Crane Nomination form along with a minimum of four Endorsements. Nominations, including all endorsements, for the Penny Crane award are required to be made to the selection committee by a deadline of July 1 of each year. This will allow sufficient review and selection in time for presenting the award at the next annual SIGUCCS conference. If a written acknowledgement of the gift is needed, be sure to include the complete name and address of the donor.